Chris Adams, drummer/teacher/clinician currently playing, teaching, residing in upstate New York. Drumming began for Chris at age twelve, spending middle and high school years in The Grenadiers Jr. Drum & Bugle Corps., which sparked the passion for drumming. Following came the 1970's ...rockin'! 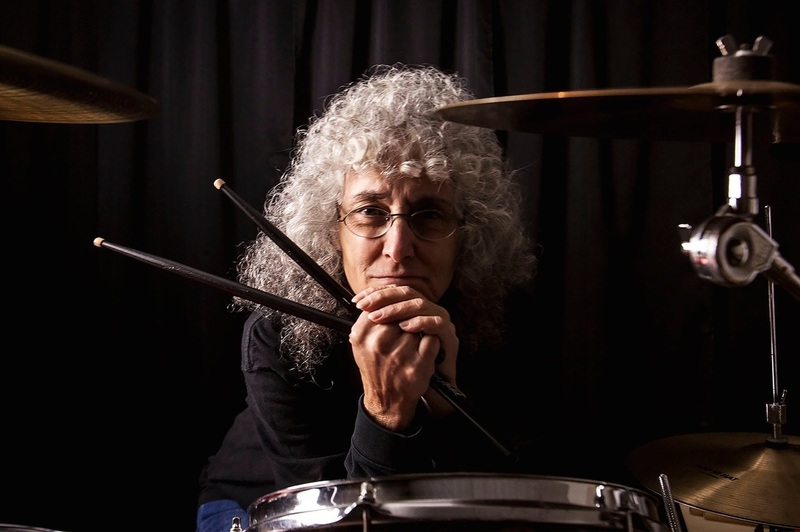 eventually landing in New York City, where she worked for years as a freelance drummer, "...grand experience, and honored to have played with so many great musicians. ", playing CBGB’s to Broadway. Chris has performed throughout The U.S., Canada, Greenland, Europe, Thailand, Brazil, at venues including The Kennedy Center, Washington, D.C., Lincoln Center, The Felt Forum, Symphony Space, The Ritz, NYC, The Hult Center, Eugene Oregon, Boettcher Concert Hall, Denver, CO., The Cabrillo Festival, Santa Cruz, CA. During her years in New York, Chris had a one time magical lesson with Jack DeJohnette, tips from the great Billy Cobham, studied with the late greats, Tony Williams, a few impressionable lessons, and long term lessons with dear teachers/friends, Norman Grossman and Gary Chester. While studying with Gary Chester, Gary recruited Chris to assist him in writing his books, The New Breed and The New Breed II, distributed internationally by Hal Leonard. After more than twenty years, these books remain on the best selling list of drum instruction books worldwide. Chris spent many years as a Teaching Artist for Southern Tier Institute for Arts in Education, Wolf Trap Institute for Early Learning Through the Arts, Beethoven’s Buddies Elementary School program, and as a private drum teacher. She is dedicated to learning, playing, teaching, and sharing her passion for drumming with her many students worldwide.